A man with a prison record has no place around a fresh faced college student. Tell that to Rory Prince. He should stay the hell away from Olive Cunningham. There’s one small problem, though. She won’t stop almost getting killed—and with this too-smart, too-sweet girl holding his heart in her hands, Rory is powerless to do anything but keep saving her. Homeschooled from a young age, Olive is now out on her own and discovering the world, one milkshake flavor at a time. Until recently, she has experienced life through books. She’s walked in a million sets of shoes while flipping pages—enough to know that Rory gives her once-in-a-lifetime feelings. If only he would stop trying to protect her…from himself. 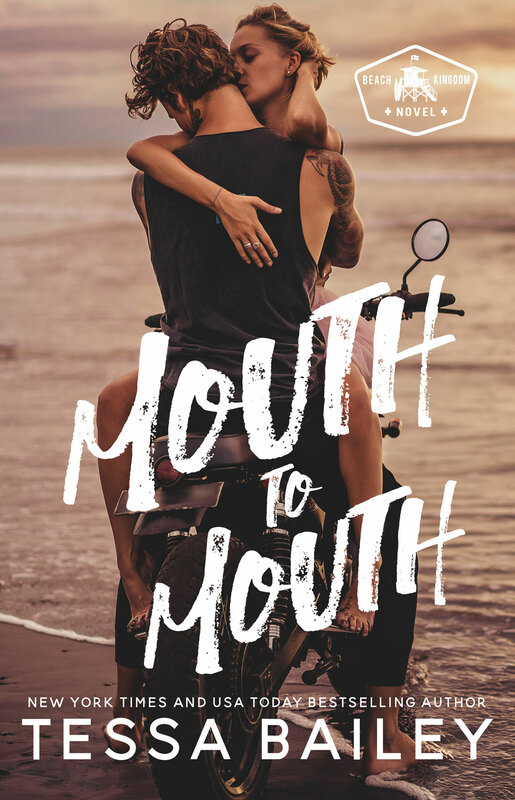 It might not be my usual cup of tea, but once in a while, I love returning to stories that capture the innocence, the euphoria, that incomparable wild rush of a first love, and as always, Tessa Bailey takes a familiar premise—bad boy meets good girl—and rockets it into an unputdownable tale of yearning love. A whirlwind romance set on the sandy shores of Long Beach, New York, this story is the perfect portrayal of the sweet naivety and rapturous abandon of youth, where every emotion is amplified, every declaration is exaggeratedly sentimental, and a chance encounter between two strangers quickly spirals into a heated love affair of the everlasting kind. This is a read-in-one-sitting kind of book that I’d want to lose myself in on any given day. She reminded him of a little sunbeam with summer-kissed skin and big features, especially those dove-gray eyes. When Olive Cunningham left her home in Oklahoma to attend college in New York, she saw that as the perfect opportunity to embrace new beginnings and distance herself from her inattentive family, but little did she know that her life would change even before classes started. After almost getting hit by a speeding bus and having her life saved by a stranger, Olive becomes instantly infatuated with her handsome rescuer, but as taken with her as he seems to be, he also appears determined to stay away from her at all costs. Rory Prince never expected his usual summer routine of lifeguarding and bartending to be interrupted in any way by romance, but from the moment he lays eyes on a pretty blonde in thick-rimmed glasses and her nose buried in a book, he becomes utterly smitten. Her childlike innocence and sweet demeanour bring out a possessive side in him he never knew existed, but before their romance can gain momentum, Rory walks away, convinced that a hotheaded ex-con has no business tarnishing someone as perfect as Olive. Olive’s abandonment issues coupled with Rory’s fear of not being good enough for her set into motion a very emotional chain of on-again, off-again moments between them, all fuelled by nothing else but their own insecurities, but their passionate connection keeps bringing them back to one another, slowly chasing their demons away. For a book leaning on the shorter side of the spectrum, this story is incredibly layered and moving. With a formidable command of her characters and the palpable chemistry between them, Tessa Bailey knows how to evoke emotion from the reader time and time again, and this story is no exception. Olive and Rory’s tumultuous romance will grab you, wrap you in, and won’t let you go cover to cover. What would it be like to have Olive look up at him with such trust and open admiration…and know he’d earned it? To be a good man for her?